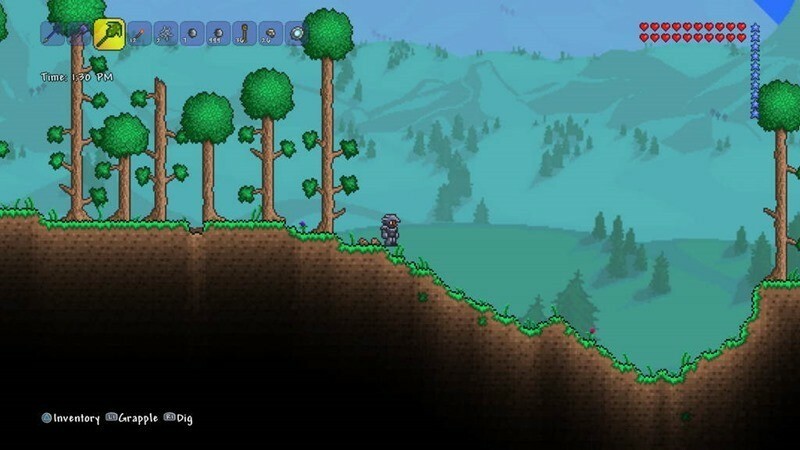 Terraria has often been labelled as a 2-D Minecraft, and it’s hard not to make that comparison. As with Minecraft, Terraria is all about gathering and crafting and building all sorts of creative structures, but Terraria sets itself apart by putting a greater emphasis on combat and character builds. It has become incredibly popular as well and you’re able to get this game on a vast array of devices. 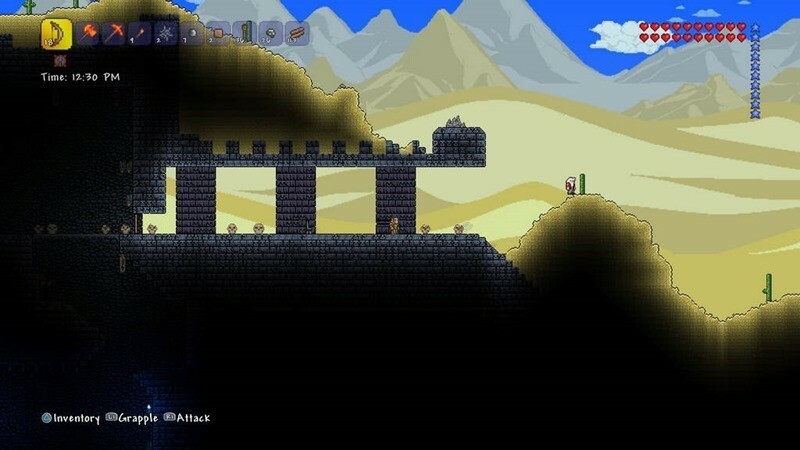 It might seem like a Minecraft clone and though they seem similar, in its own right, Terraria is so much more. 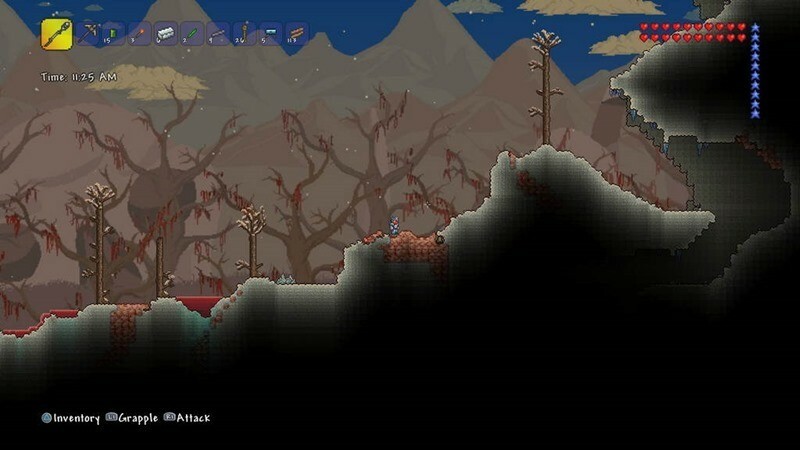 Terraria isn’t an easy game to hop into as it presents the player with a huge learning curve that requires patience to get through. The gist of the game is that you’re dropped into a huge randomly generated world and you have to gather materials to craft a wide variety of items that are a necessity to your survival. Materials such as wood and water are easily obtainable outside but the majority of the rare ones are found underground. Armed with a pickaxe, you’ll be chipping away at dirt and stone to mine further underground to obtain these minerals. It’s a daunting task that seems like it could become tedious, but that moment when you reach a bank full of rare materials makes it all worthwhile. The game also features a day and night cycle that affects gameplay. During the day it’s unlikely that you’ll run into any high level and strong enemies. When the sun is out you’re able to explore the world at your leisure without the fear of being ambushed by a group of zombies. When night time hits however, you’ll want to make sure that you have some safe haven within the boundaries of a house or even a little makeshift cave inside the ground to protect you from the evil that that lurks at night. Be prepared to run away or fight if you’re brave enough as you’re confronted by these creatures. From floating eyeballs to demons, you’ll want to make sure you’re nowhere near these enemies unless you’re adequately geared up for a fight. It’s this day and night cycle that keeps things entertaining as there is a great sense of accomplishment when you’re able to make your way home safely before nightfall and examine all the materials you gathered for the day. Naturally you’ll want to spruce up your house with a bit of decorations, but the most important pieces to your décor are the stations used to craft new items and gear. There is nothing quite like having a bag full of new materials to play around with in the safety of your in-game home after a hard day of mining and gathering. It becomes a really addictive cycle of collecting and crafting. You’ll want to mine deeper for greater treasures so that you can craft better gear in order for you mine even deeper and forge even greater gear. You’ll suddenly find yourself losing hours of your life without you even realizing. 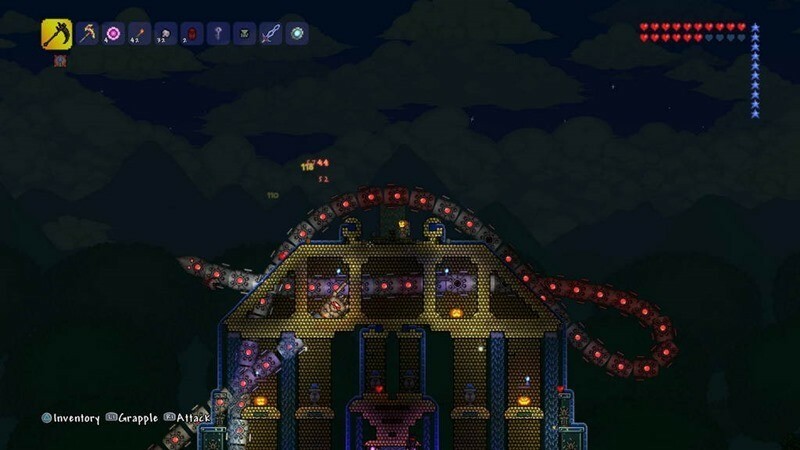 Terraria nails that balance between the tedium of gathering and the allure of the unknown perfectly and remains enjoyable while never becoming too overbearing. 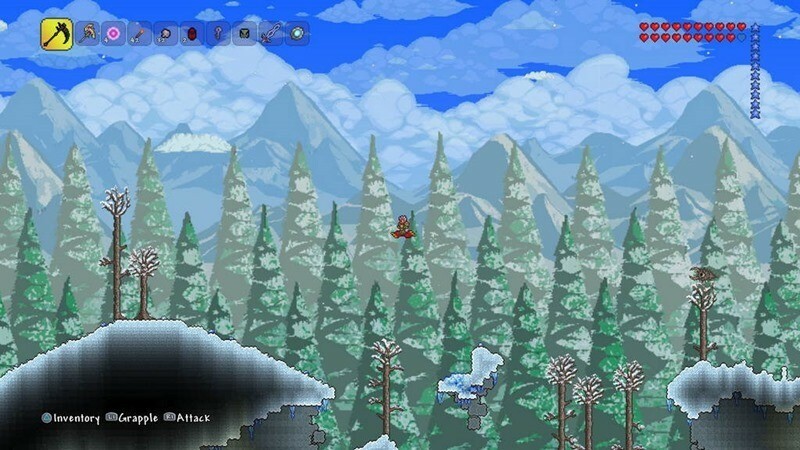 Terraria on the PS4 sports a much bigger world this time around with new enemies and bosses and a ton of new items. The game handles pretty well on with DS4 too. You’re able to zoom in and out with the touchpad and switch between using the right analogue stick to function like a mouse if you want to select specific blocks or to have the reticule auto-focus on blocks when mining. Terraria also features online and local co-op and PvP. Aside from that, the game looks and feels pretty much the same as any of the other versions out there. Unfortunately there is no cross-buy between the PS4, PS3 and Vita version but it does have cross-play capabilities if you own it on those platforms. If you’re a PS4 owner and you’ve never played this game before, it’s an easy recommendation as the core game is fun and addictive. If you’re someone that has already crafted a Terra Blade, you’ve probably played this game to death already and it’s a bit of a hard sell especially if you’ve got it on other Sony platforms. Regardless, Terraria is an amazingly addictive and satisfying game with tons of replay value and is well worth every penny.